Drivers and bikers that would like to be warned about school zones, speed traps and red light cameras might be interested in a new smart wearable wristband called the WOOLF. WOOLF is a legal and simple device that you put at your wrist to be warned of speed traps, school zones, & red light cameras, forever, without any monthly fees for Kickstarter backers. Watch the promotional video below to learn more about how the smart wearable works and how it might be able to stop you receiving any more speeding tickets And it conveniently supports both Android and iOS devices. We present WOOLF! 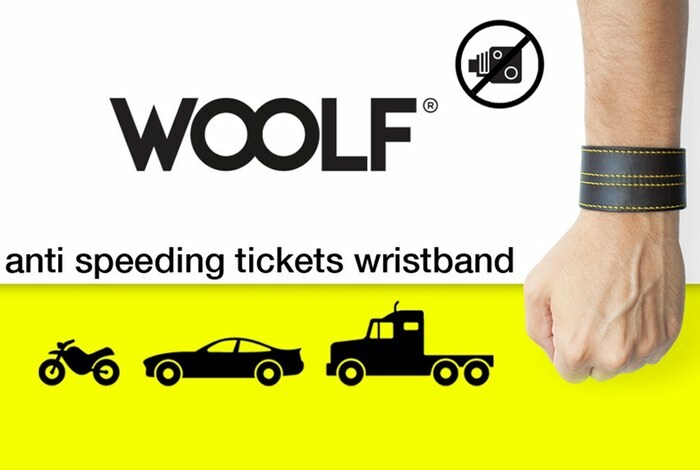 WOOLF is the only wristband in the world for drivers and bikers. Never again worry about watching out for speed cameras or other measurement devices – WOOLF will do it for you. Our app takes advantage of the leading technology in global mapping and an ability to measure speed and other data to bring you the highest level of accuracy and constant updates. The closer you come to a speed-controlled zone, the more frequent the wristband’s vibrations become, helping you to reach the exact right speed. Hands free and eyes on the road, WOOLF watches your back. It’ll keep you up to date on when and where you need to be extra careful. It’ll let you know when you need to start slowing down. Slow down at the right time and wave goodbye to expensive fines, license suspensions, and other harsh penalties. Our technology takes in consideration the speed limit of each controlled zone, WOOLF measures your actual speed by using smartphone’s GPS and can be configured to avoid vibrations if your speed is below the limit of the speed camera you’re approaching. For more information on the new WOOLF jump over to the Kickstarter website for details and to make a pledge by following the link below.